-Color trees if desired/necessary. I started with some white trees but I wanted green so I sprayed them with green ink spray and set aside to dry. 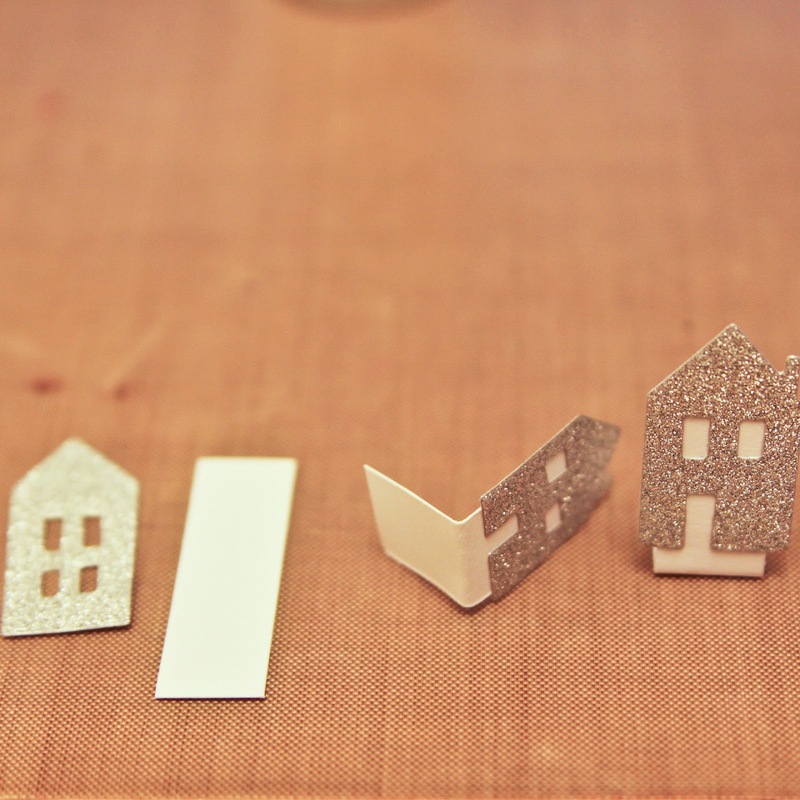 -Die cut little houses from silver glitter paper, back with folded cardstock windows to "fill" windows and create a stand. 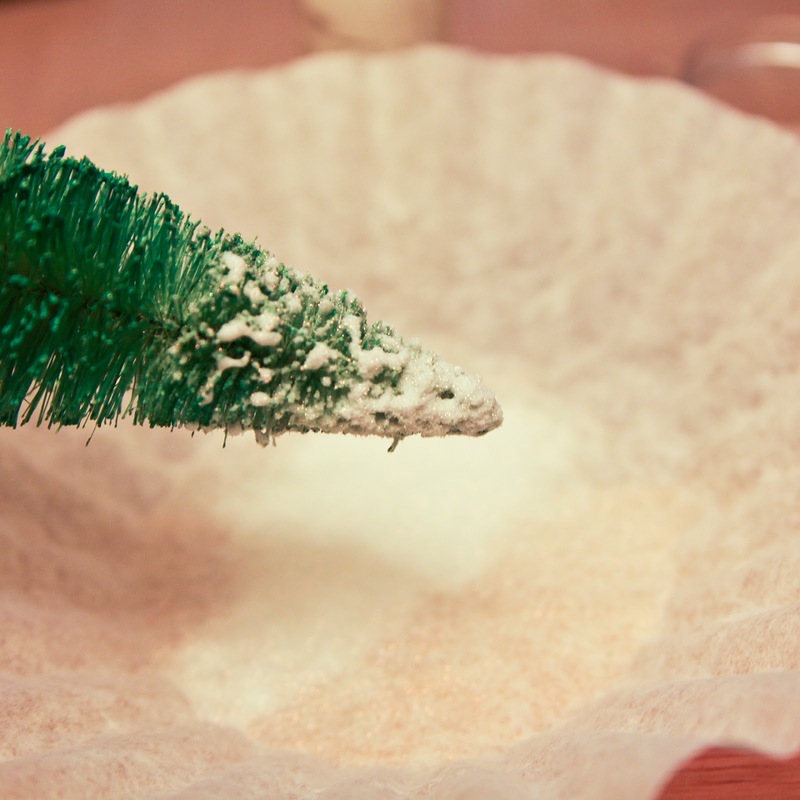 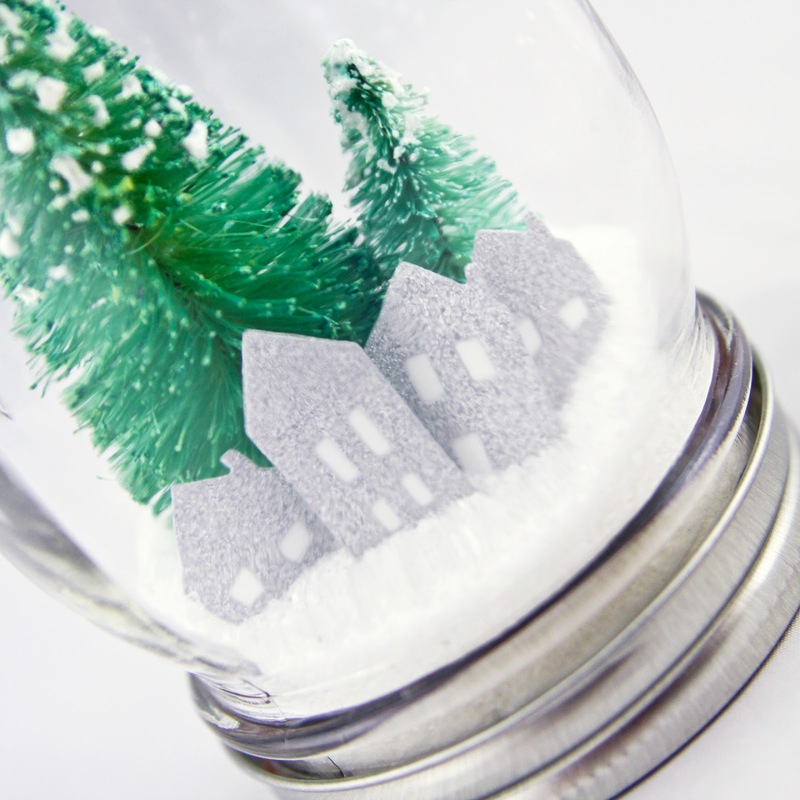 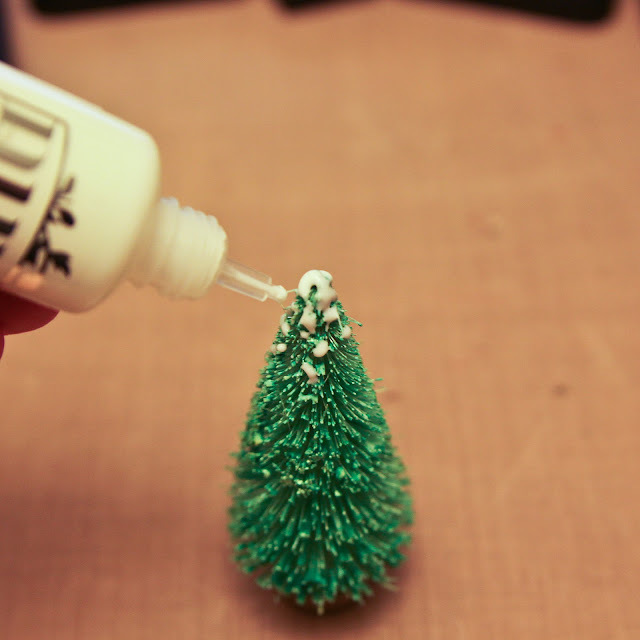 -Add Nuvo "snow" to trees and dip in glitter while still wet. -Adhere trees and houses to jar lid. 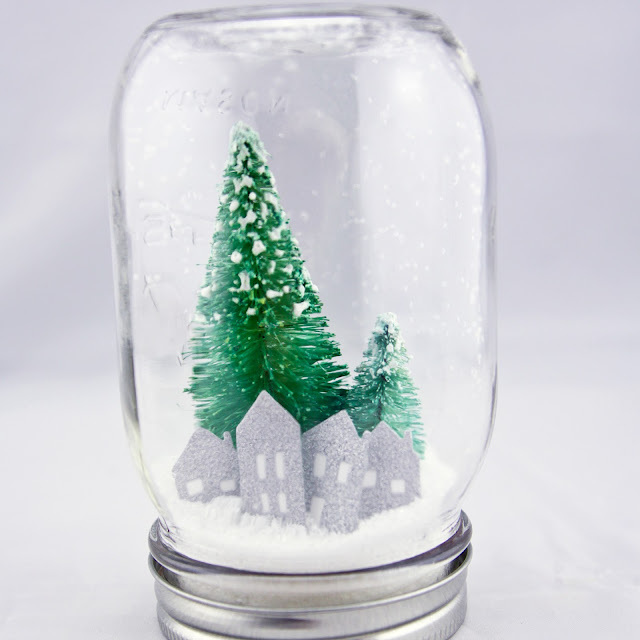 -Fill jar with glitter, place lid on top, secure and turn over gently. 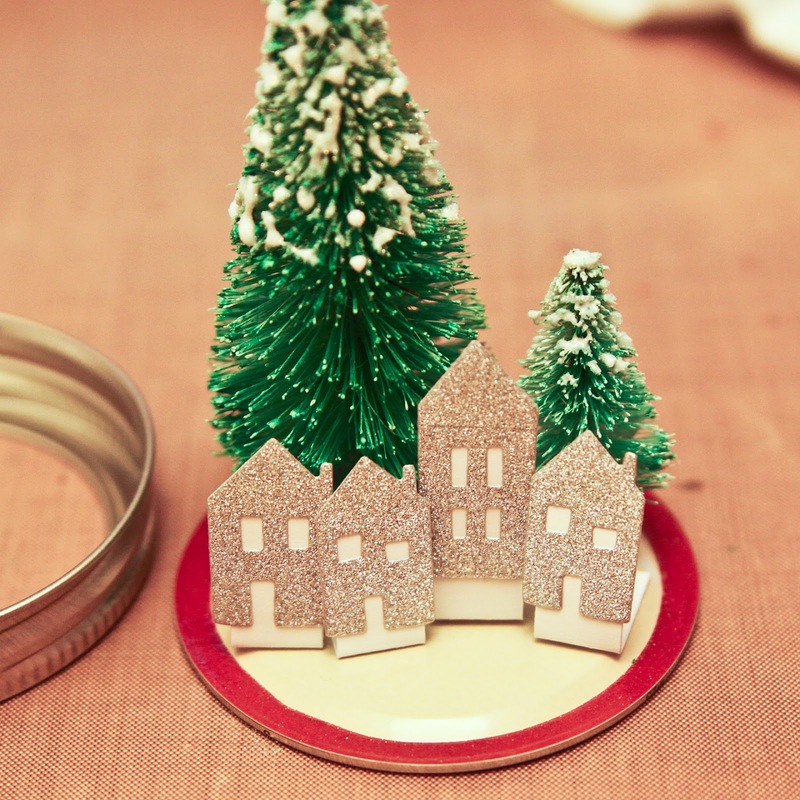 Hope you're having a happy, crafty Saturday! I have cards and more Christmas decorations on the agenda!